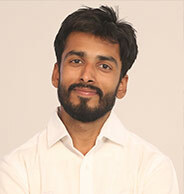 Denis Tiwari is a post-graduate in accounts, he has been working in the development sector for more than 11 years. In previous roles, he has played roles in Accounts management, Human Resources and Administration. He has also worked as store manager and procurement manger in his previous roles. He believes in the principle of love all and serve to all, help ever hurt never. His hobbies: write poems, listening music and reading books.